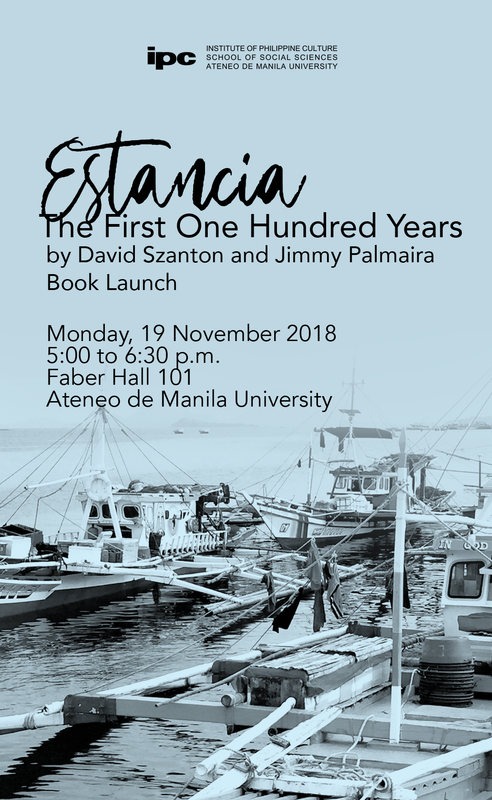 Estancia: The First One Hundred Years traces the dramatic growth and evolution of Estancia, Iloilo, a fishing and marketing town in the Visayan region of the Philippines, from the late nineteenth century to its Centennial celebrations in 2018. Part One derives from eighteen months of collaborative ethnographic and historical research focusing on the social, cultural, and political forces that shaped the development of Estancia’s fishing industry up to the mid-1970s. Part Two, based on subsequent visits, surveys, and continuing collaborations, is an essay on Estancia’s multiple connections and engagements with the wider world and the social and cultural sources and consequences of the town’s rapid growth on local politics, migration patterns, gender relations, educational institutions, moral and religious commitments, as well as a natural disaster, super typhoon Yolanda, and the questionable sustainability of the fishing industry. The volume closes with questions and suggestions for continuing research on both Estancia’s unique trajectory and its links and relevance well beyond the boundaries of the town. This edition is co-written with Jimmy Palmaira of the Northern Iloilo Polytechnic State College. David Szanton lived with Estanciahanons for 18 months and became familiar with their lives and work. In the book, he analyzes the social and economic patterns that characterized the rapid development of this rural municipality. He was a Visiting Research Associate at the Institute of Philippine Culture from 1966-68 and 2000-01.